The planned, coordinated attack was reportedly the first planned domestic attack by Islamic State sympathizers in Indonesia. One source from Detachment 88, the police unit dedicated to combating terrorism, said that the men had links to a militant network in Syria. The group was allegedly given orders and funding by an Indonesian extremist now an IS member in Syria. The home-made bombs were said to have been assembled at a mobile phone kiosk before being stored in a rented room. The plot comes amid growing anxiety by Southeast Asian states – including Indonesia – about the links between IS sympathizers abroad and potential attacks at home, either in the form of directed attacks by foreign militants or those who return home (See: “Islamic State Fears Mounting in Indonesia, Malaysia”). As I have noted previously, while government officials have repeatedly admitted that it is difficult to keep exact numbers, Indonesian media have reported that more than 350 Indonesians have joined ISIS in the past two years. 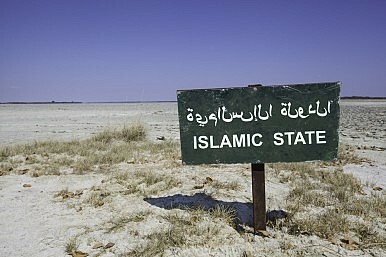 While some of them have left from Indonesia, others were students or migrant workers who had already been living in neighboring Middle Eastern countries and departed from there (See: “Indonesia Mulls Tougher Approach Against Islamic State”).